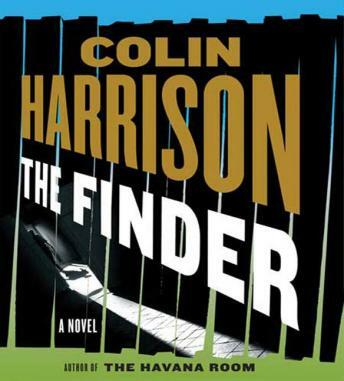 Now, the author of The Havana Room, Afterburn, and Manhattan Nocturne raises the stakes with an electrifying new thriller, The Finder. Harrison spins the story of a young, beautiful, secretive Chinese woman, Jin-Li, who gets involved in a brilliant scheme to steal valuable information from corporations in New York City. When the plan is discovered by powerful New Yorkers who stand to lose enormous sums of money, Jin-Li goes on the run. Meanwhile, her former lover, Ray Grant, a man who was out of the country for years but who has recently returned, is caught up in the search for her. Ray has not been forthcoming to Jin-Li about why he left New York or what he was doing overseas, but his training and strengths will be put to the ultimate test against those who are unmerciful in their desire to regain a fortune lost. Ray is going to have to find Jin-Li, and he is going to have to find her fast.